I have to say, I was very disappointed to discover the total lack of kawaii volcanos currently available on the internets, so I have drawn one. 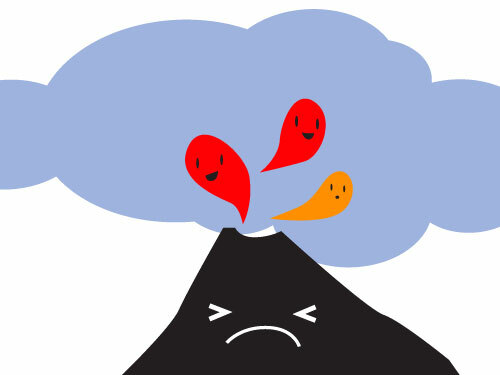 If you’re currently at the mercy of our volcano crisis ash cloud misery where will it all end is the general election over yet mass panic then hopefully this might cheer you up – the volcano isn’t very happy about it either, though the lava thinks it’s awesome. 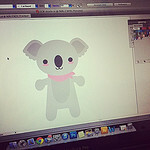 In other news, everything for my gift wrap kits is currently in the mail – so excited!